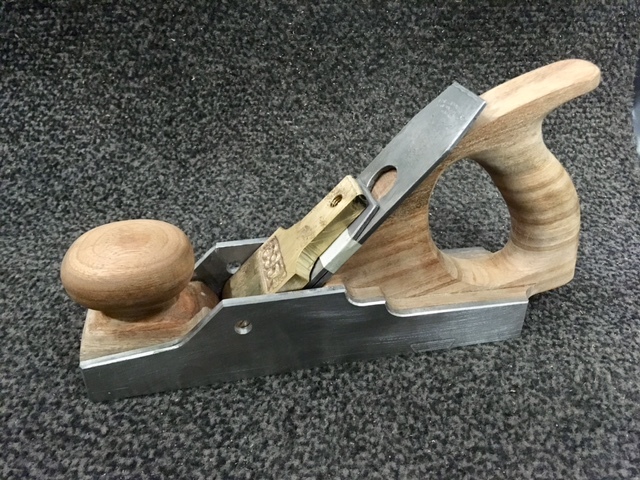 Mulesaw: Making an infill plane from scratch 13, lever cap. Making an infill plane from scratch 13, lever cap. Yesterday I spent a couple of hours just filing the front of the mouth so that it would allow the blade to protrude. I also started chamfering all the edges of the sides. These seemingly small tasks actually take quite a long time. Today I decided to start on the lever cap. I have had an eye on an old butterfly valve for some time now, because it would give some great material for this part of the project. The valve is a 12" valve that used to be mounted on the ballast system of the ship. It was replaced during the dry docking, because the rubber seating had developed a crack that caused the valve to no longer hold tight. Not so many years ago it was custom to change the rubber insert in those valves, and it can still be done on some types yet. 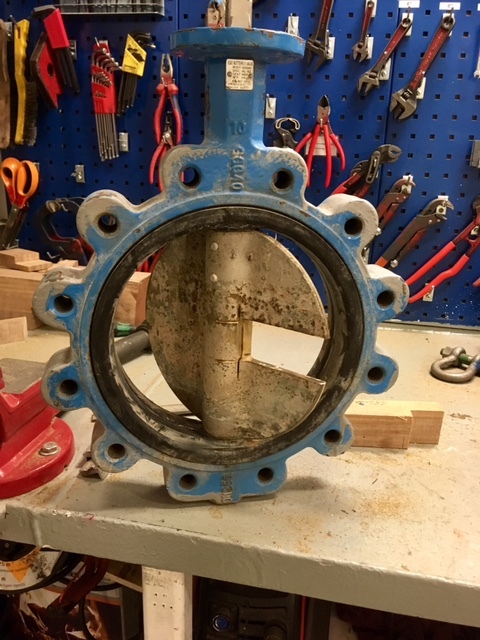 But this valve is of a type where the rubber is glued to the body, so it can't be repaired. It can however be used for a custom lever cap. The disc is made out of aluminium bronze, which is sea water resistant. It is also a different colour than the steel that I have used in the build, so it should give a bit of visual interest once it is complete. I used an angle grinder to cut out a piece I deemed suitable. I deliberately included a cast stamp saying C954. I have no idea what it means, but I thought it looked good. After getting the piece free from the valve disc, it was again back to a lot of filing. I have managed to position the holes for the cap iron in a way that it would look bad if it was mounted with screws in the side. So instead I am going to install a rod in those holes, and slide the lever cap below this rod, and capture it in a semicircular depression. After drilling a hole for the cap screw and making a thread in the hole, I again used the angle grinder to remove some more material. I did this after the drilling and tapping, because it is so much easier to clamp a squarish piece in the vice compared to an odd shape. In the beginning I considered leaving the entire surface as it came from the valve i.e. 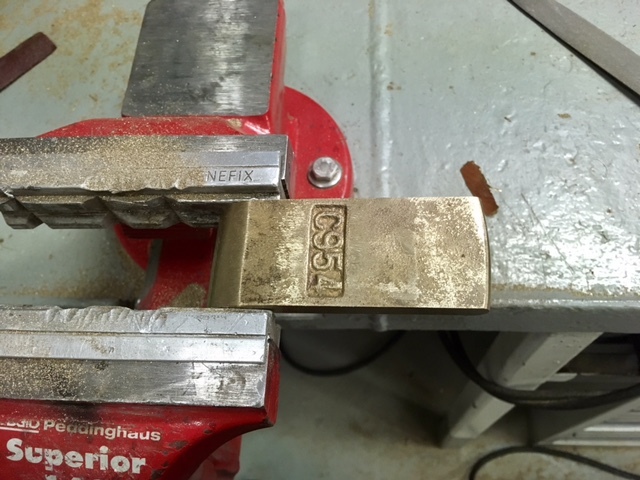 as a coarse casting, but in the end I decided that it would look like I had skipped a step or two, and I started filing the surface to get it nice and smooth. The current state of the project, still some way to go. 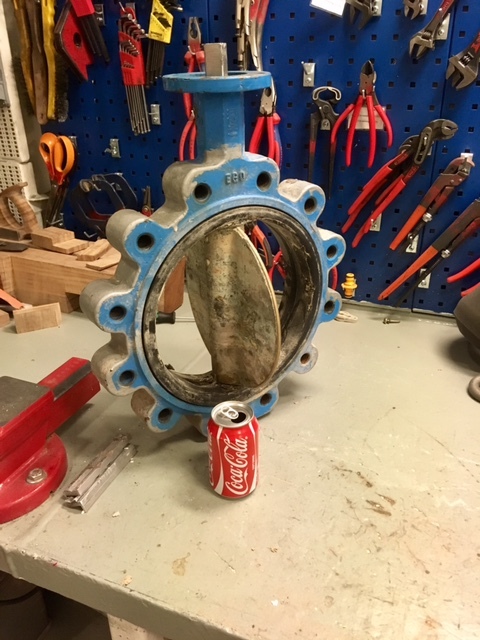 Butterfly valve, empty can is for giving an idea of the size. No one will notice that there's a piece missing. Started to file the surface. Drilled and tapped, but not finished yet. Wolfram has posted the answer to us. It is the material code for aluminium bronze. I think it looks cool too. On the other side of the butterfly flap there was a cast "10", but it didn't look nearly as cool. 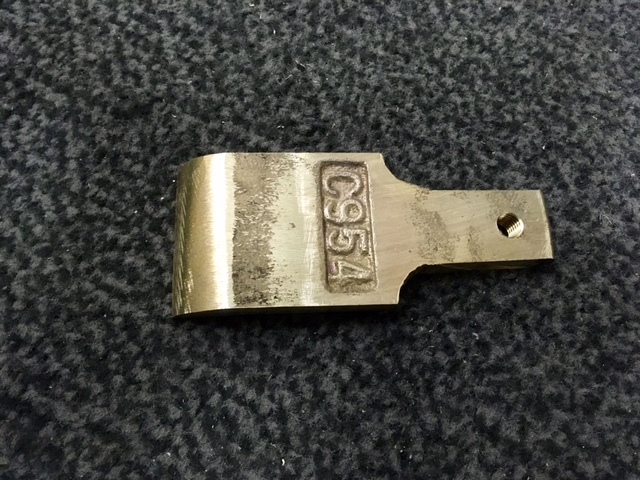 C954 is just a material indicator number for aluminium bronze. This makes it easier to idetify the proper usage porpose. Yes, it looks awesome - like the entitre project. 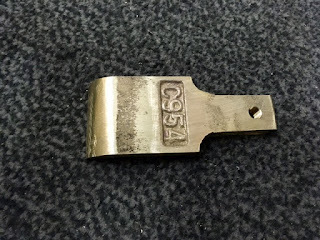 It makes perfectly sense, that there is a material indicator on the valve flaps, because the flap material is also identified on the type plate of the assembled valve. And different materials are used for some of the other piping systems. I think that the "special products" system has got stainless steel as an example. It looks like you've been building these a long time. Six more and you'll be able too start at D001! But yes, I have already made 2954 planes. As you can clearly see in my series of posts, it is just about the easiest and simplest project that can be undertaken. Oops! I guess as a trombone player I have only count to four. hahaha, I think you are doing alright then! To me that ist one more proof, what an unbelievable skiled handworker you are, Jonas! Thanks a lot. I hope to be able to live up to it. Thanks a lot. I have to confess that the project has been a bit more work than I imagined when I started it.